Tell me a story about an adversity you’ve faced in the last year. Go take a photo that represents the word efficiency. Go make a video about your favorite spot in your home town. I think that the purpose that prompts like these serve is in helping to overcome that initial bit of resistance that’s there at the start of something new. 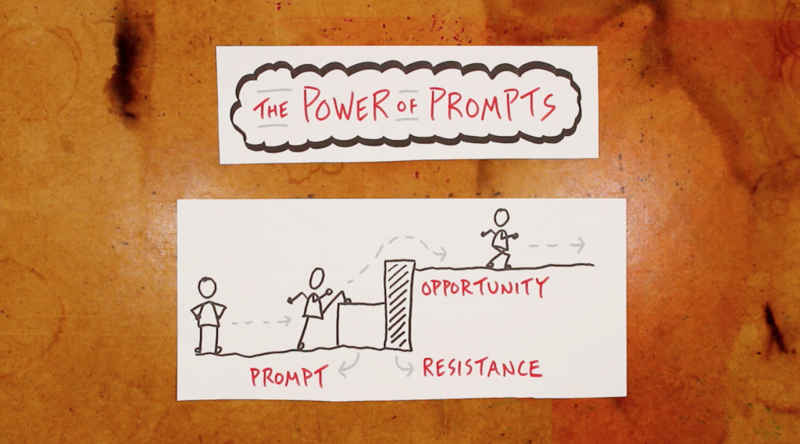 A prompt provides just a bit of momentum to get things going and open yourself up to the opportunities that live on the other side of that resistance. 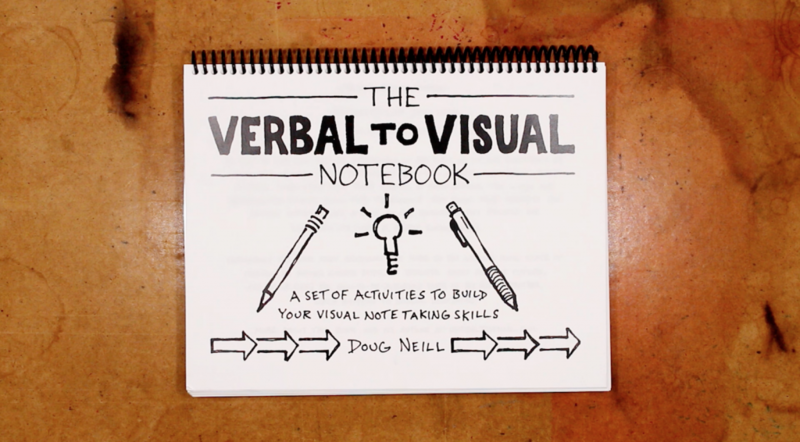 That’s the underlying principle behind the first sketchnoting resource I ever made – The Verbal To Visual Notebook. 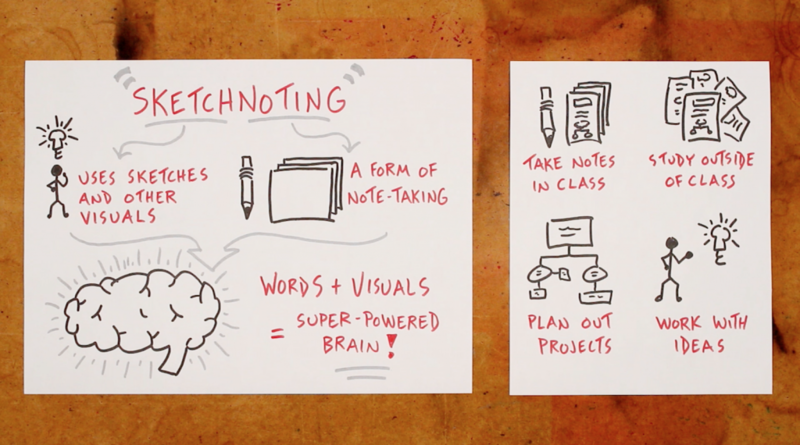 It’s literally just a bunch of prompts that encourage you to get a feel for sketchnoting by sketchnoting – not by reading about it or watching videos about it (though books and videos have there place too). 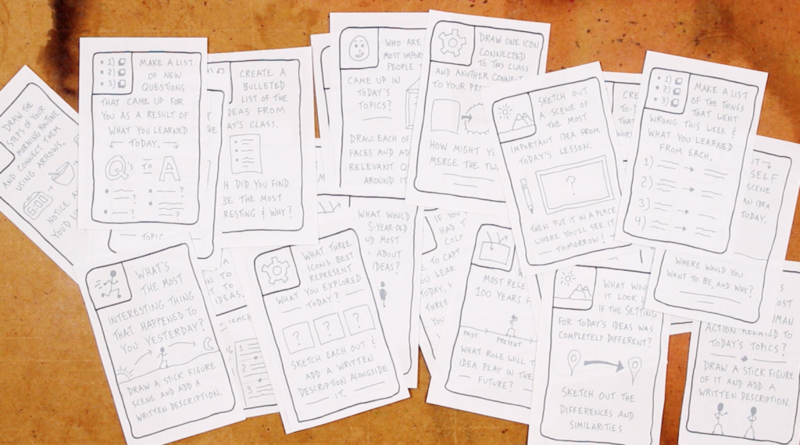 I recently revisited the idea of standalone prompts for a more recent thing that I’ve built – Sketchnoting in the Classroom – a resource kit for educators who want to bring visual note-taking into their classroom and help their students develop this skill. 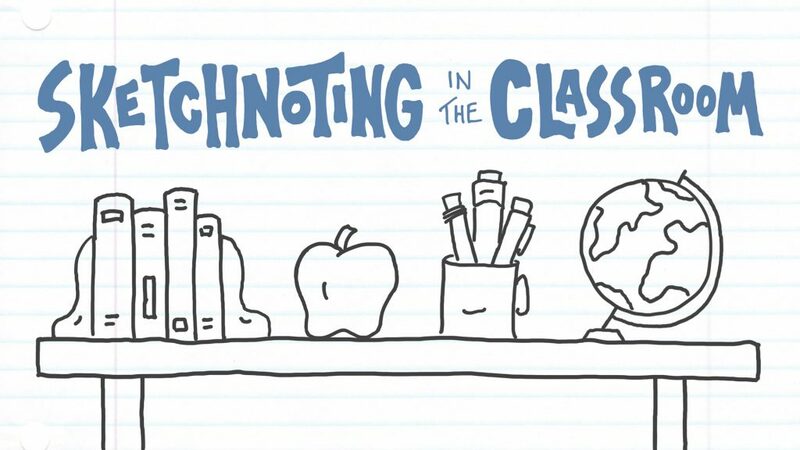 The core of that resource kit consists of three parts – Part 1 helps students develop individual skethcnoting skills, Part 2 looks at how students might combine those skills into their own sketchnoting process, and Part 3 explores how sketchnoting can be applied to different subject areas. 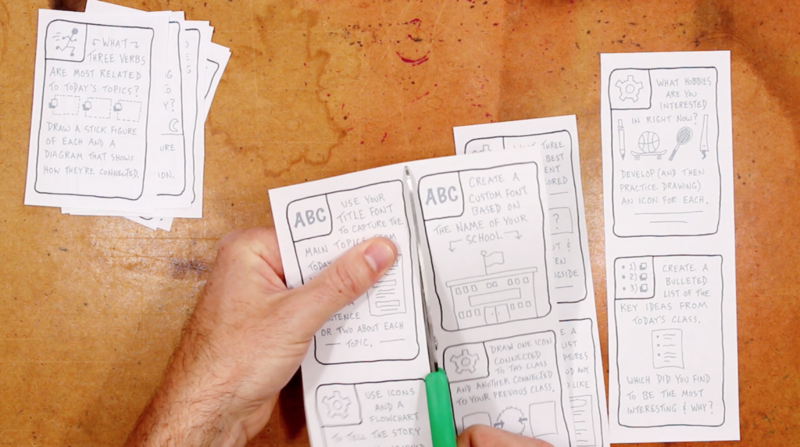 That provides a solid foundation, but from the very start of building that resource I knew I wanted to include one more thing – a card deck of sketchnoting prompts that teachers can have on hand for when there’s a few minutes left in class or a student finishes work early and needs an extension activity. Well that card deck is now here (stage one of it, at least). I’ve got the first 32 cards ready for teachers to take a look at and start using in their classrooms. 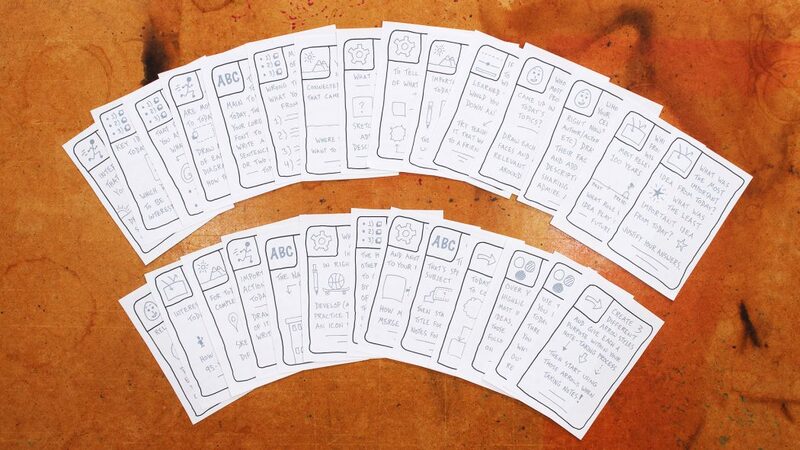 The space in the upper left of these cards contains an icon to let you know what sketchnoting skill (from Part 1) the prompt focuses on. The activities themselves are designed either to build on whatever topics were explored that day in class or pull from students’ personal experiences and memories from the past. While it might be fun one day to connect with a manufacturer that can print playing cards, for now we’re keeping it DIY – you’ll be able to download a pdf of 8.5- by 11-inch pages, each of which has 8 prompts on it, that you can cut into separate cards and maybe even laminate if you’d like them to last. Because the hope, of course, is that this card deck can be used throughout the school year. The current set of 32 cards is just the first batch. I will be making more, but I wanted to get these in the hands of teachers first and get some feedback to make sure that I’m on the right track with this specific piece of Sketchnoting in the Classroom. So, if you’ve already picked up that resource kit, go log into your account so that you can download these and start using them! If you don’t yet have that kit but are intrigued by it, you can learn more about it here. I hope that you find to be useful the various prompts that I put out there in posts like this one and within the other resources that I create. Good luck as you continue along your journey of sketching out interesting ideas.